The Alabama Homeschooling website was created to keep Alabama homeschoolers "in the know". There is so much homeschooling information out there, it can be a little overwhelming and sometimes a little hard to find. The Alabama Homeschooling website is our attempt to make this part of homeschooling a little easier. The Alabama Homeschooling website is the official website of Everest Academy but offers information FREE to all Alabama homeschoolers. Everest Academy is a ministry of Everest Family Church in Hayden. We offer freedom along with quality resources, information, activities and support to those homeschooling in Alabama. We believe that the parent has the best interests of their children at heart. We believe that the parent is the first and only teacher that a child needs. In keeping with this philosophy, we wish to be a very hands-off church "cover" school and allow the parent to lead and guide their children in the direction and at the pace they feel is best suited to their children. We ask only for what the law requires while offering support along with quality resources to aid families in their efforts. Listed below are other volunteer activities you might want to give a try! 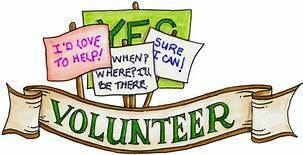 If you have a good idea for a volunteer activity, please let us know. All activities listed are open to all Alabama homeschoolers regardless of church school affiliation. Some activities are homeschool specific, and some are offered to the general public. Please note that these activities are not sponsored or organized by Everest Academy unless specifically noted. If you have questions concerning one of these activities, please forward your questions to the contact listed. If you would like to add a resource or if you find a broken link, please contact the Everest Academy webmaster. Everest Academy Newsletter ~ Sign Up Below!!! Does Homeschooling Leave You Stuck at Home? How Long Should You Homeschool Each Day? Visit Our Pinterest for FREE Curriculum Ideas!!! Visit Everest Academy's profile on Pinterest.